"Nada, darling, we want what's best for you; your Dad and I can guarantee you will never find a place that will love and accept you as much as Gaza, as much as it already has." Every time I say I want to travel and see the world, my Mom and Dad give me a lecture about how they've been to every other place in the world - and Gaza is the greatest. Deep down, I realize they are right for the most part, but someone with my wild imagination doesn't really want to spend her life in one place. 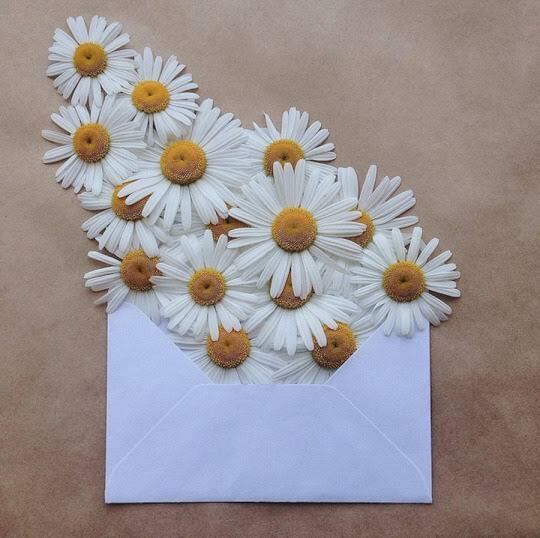 I want to see the world and try new experiences. I want to visit England during winter and finally get a chance to build a snowman. I want to spend at least a year in Scotland among all those green fields as a reward to my body for enduring all of my city pollution. I want to go to the “wild wild west” of America , or to the South and try to pick up the accent. My bucket list is a bottomless pit. I want to go everywhere and experience everything I've never gotten a chance to here in Gaza. I live in a small part of Jabalia camp called Tal-azza'tar in the north of Gaza. Our area is where most of the action takes place during any Israeli aggression. Our camp is the second closest to Beit Hanoun, the town right on the border with the land now called Israel. We are one of the first areas to be bombed in any attempt to secure the northern part of Gaza when a land invasion is planned. There is an empty piece of land a stone's throw away from my house, a semi-square patch that has a few scattered olive trees, and it was hit at least a dozen times in each of the past three wars. Sometimes, it feels like you can hear the echo of the bombing when you walk past. I have lived through three wars, about a dozen invasions and nine years of siege. I also have waited through God knows how many hours for the electricity to come back on so I can finally get online, or iron tomorrow's outfit and hijab, or watch the TV show I'm waiting for. Needless to say, living in Gaza is not a Sunday afternoon walk in the park. Despite it all, I still love it. When I think about it closely, I think I have a love/ hate relationship with Gaza. I hate the fact that I am trapped here more than anything. I hate how even though Gaza has given me nothing but decay, heartache and pain—destroyed homes, dead loved ones, homeless people every direction I look—I still can see a flower bush pulsing with life and color next to the ruins of someone's home, or remember a childhood adventure with my Dad in one of the old bookshops. Then I fall in love with this place all over again. It's what Mahmoud Darwish [a Palestinian poet] expressed when he said: "We have on this land that which makes life worth living." I love the sense of togetherness in Gaza. Despite all the differences and hardships, people still care for each other. During the last war, which Israel dubbed Operation Protective Edge, statistics showed that more than 96,000 houses were destroyed either fully or partially, and more than half a million Gazan citizens were left with no shelter over their heads. During these hard times, some people cleared their basements or roofs for others to use as an escape. When relatives’ houses were damaged, many peopletook them into their homes and split the space, food, clothes and everything else they could manage. I love how we manage to find a way to cope with every obstacle we face despite the ridiculous amount of obstacles to overcome. I remember a few years ago, we were visiting my aunt's house during the afternoon. I was still in high school and the electricity shortage was at its peak. The fuel supply was so low that the electricity would be out for at least 16 hours a day, if not more. When it got dark and there was still no lights, my uncle Jamal hooked a couple of low-voltage light bulbs up to his car battery and lit the house up. Everyone cheered. I love how everyone in Gaza is a sea person (except our mothers; probably because they don't like rinsing sand out of our clothes). Sometimes during the hot summer days it seems as if the entire city is out on the beach. One time, my Dad had promised us a trip to the sea. It was July, the hottest summer month, and all of us needed to cool off. It took us maybe two hours of groveling and promising to behave and get as little sand as possible on our bodies and clothes before Mom agreed to come with us. When we got there, the beach was packed with people. You'd think only the kids and their obliging parents would be there, but that wasn't the case. 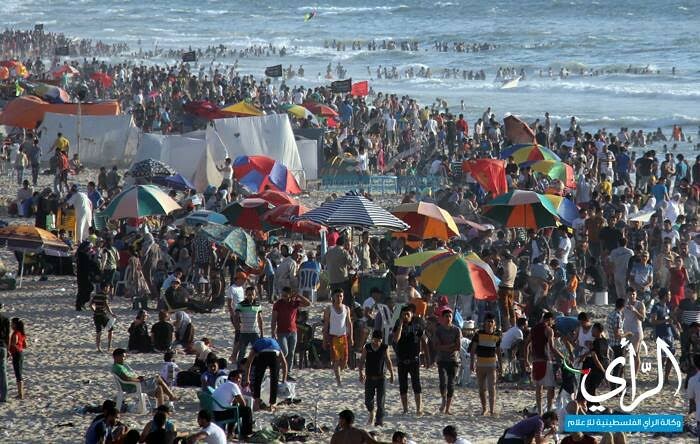 It seemed as if all of Gaza was there—old people sitting under umbrellas; young men playing water football or volleyball; kids building sand castles, or at least attempting to; older ones burying each other in the sand after spending ages digging big holes to do so. We swam, we ate watermelons, we laughed and ran and had a good time. I love the fact that you can stargaze to your heart's content almost every night because most areas don't have electricity most nights. I love Gaza for the people, especially my family and friends. I love it for the way I am accepted for my brains; nerds and bookworms are actually celebrated here compared to many places around the world. My time in high school, for example, wasn't a popularity contest. I went to an all-girls school. All of us wore the same uniform, although there were slight differences in this girl's sneakers or that one's backpack. What mattered wasn't the outside appearance—and boy did I look like a potato back in the days; instead, we competed for who read the most books and who could figure out this math problem or the answer to that physics question. It was an academic contest, not a fashion one. I have to admit it did get stressful sometimes, to always try to be better and do more. However, it was rewarding. I loved being among the best students in my class. It was a satisfaction unlike anything else. I love the good, the bad, the heartbreaking and everything in between because I don't think I would be the person I am today if I hadn't lived in Gaza. In one of his many Letters to Melina, Franz Kafka writes, "now I'm even losing my name—it was getting shorter and shorter all the time and is now: Yours." I am no Franz Kafka and Gaza is no Melina but I still love Gaza enough to end a letter to her with a declaration of belonging, of an attachment far beyond the usual romantic love.